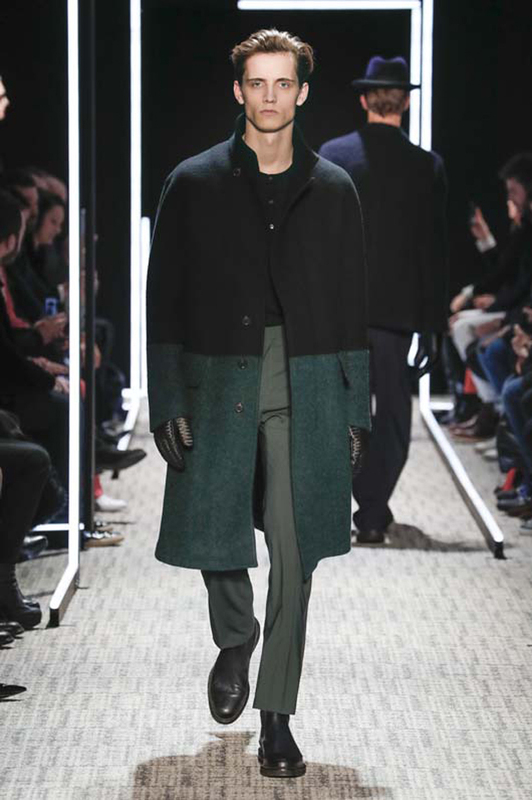 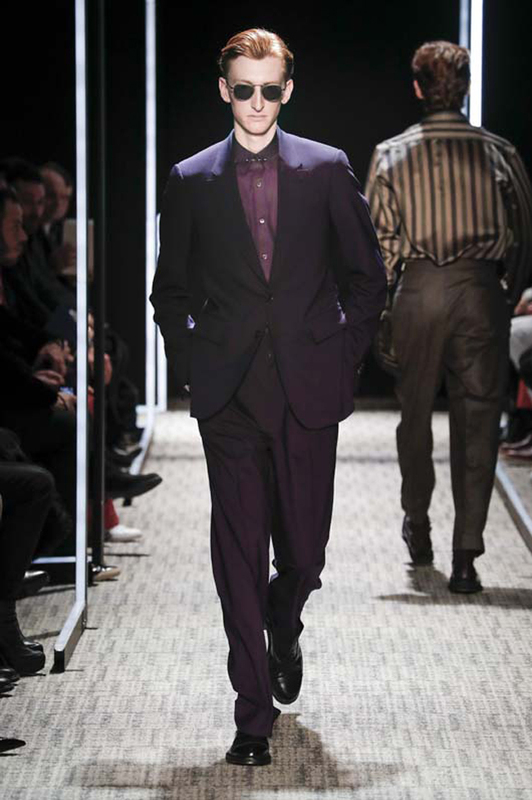 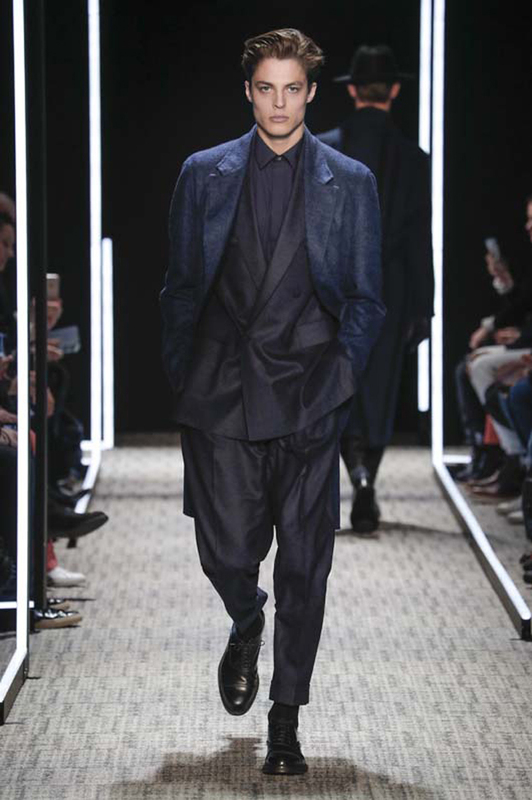 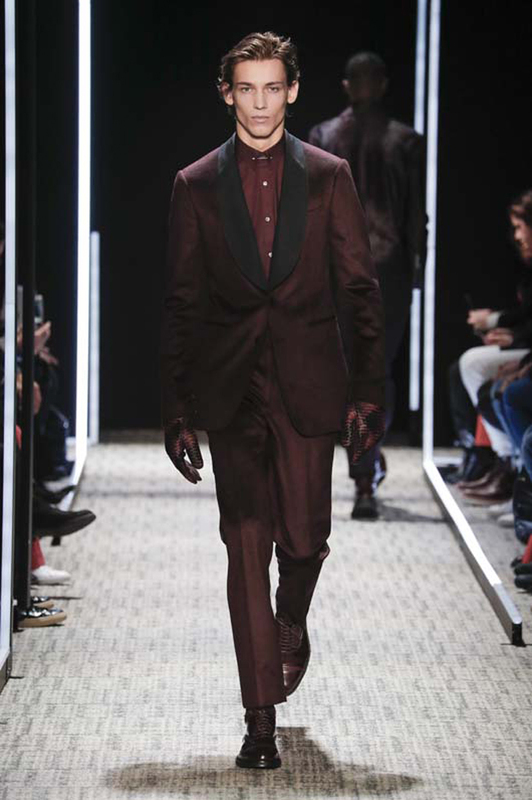 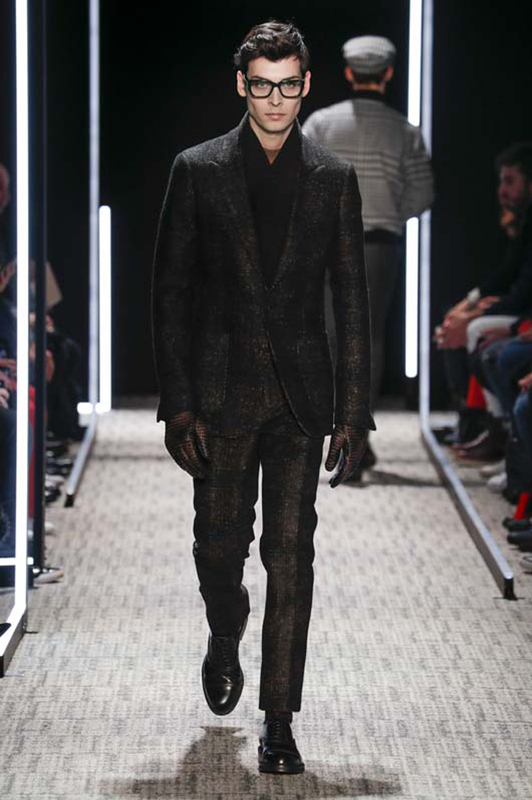 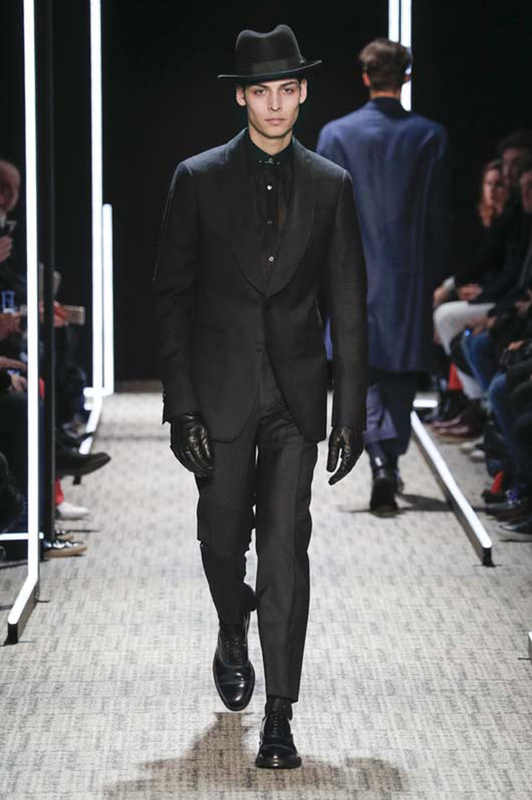 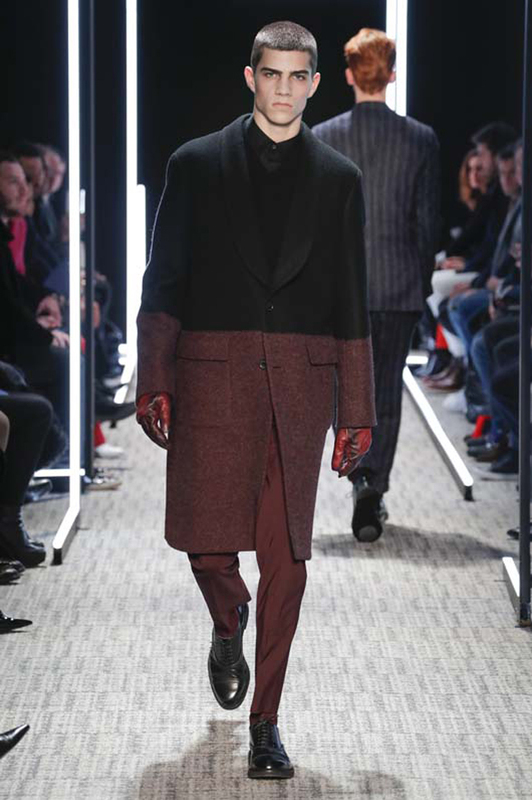 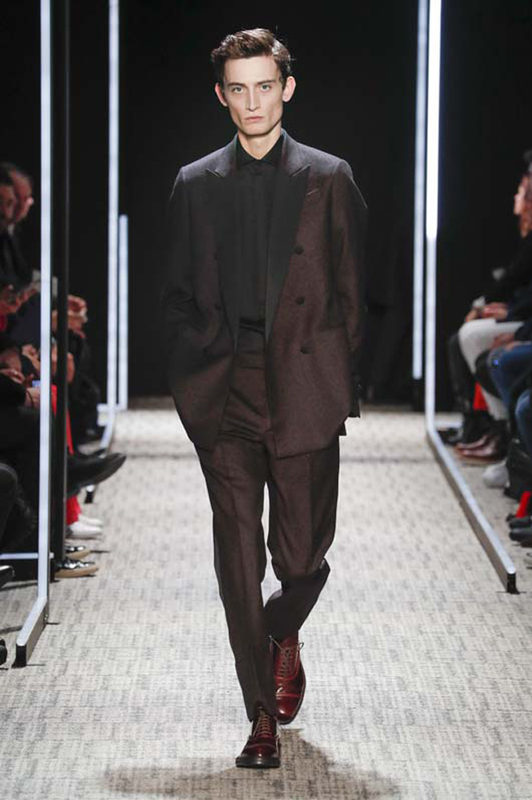 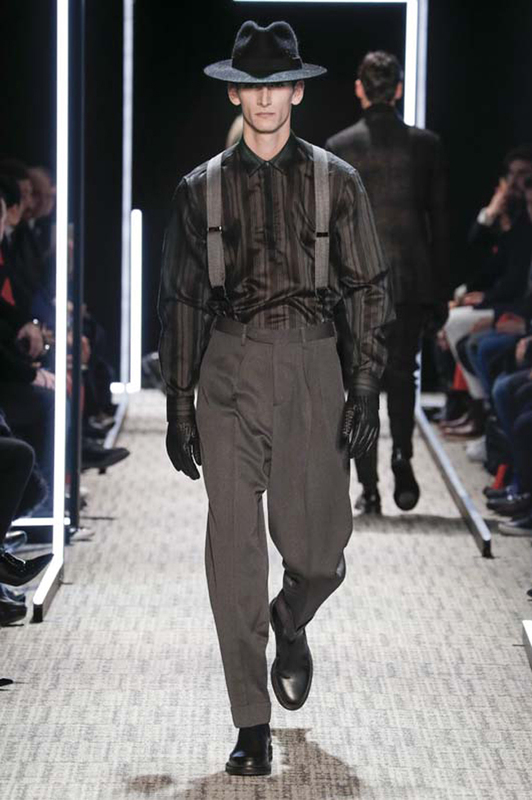 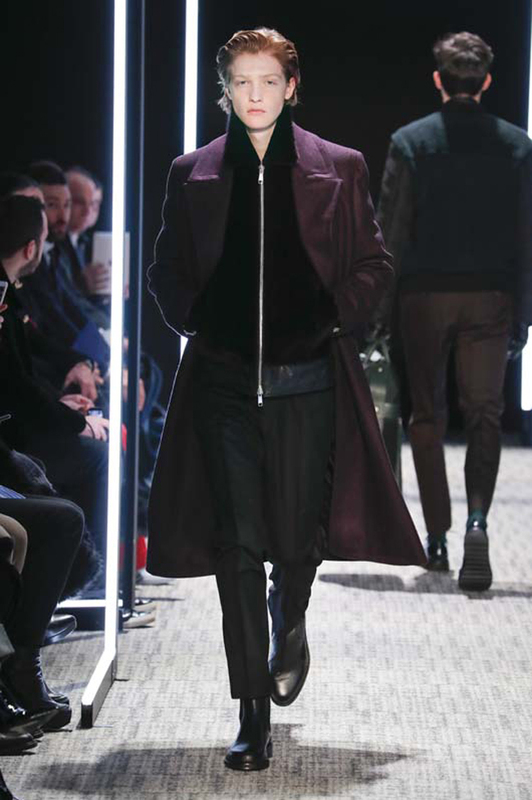 Fall/Winter 2017-2018 collection marked the 50th anniversary of Cerruti and its relaunch. 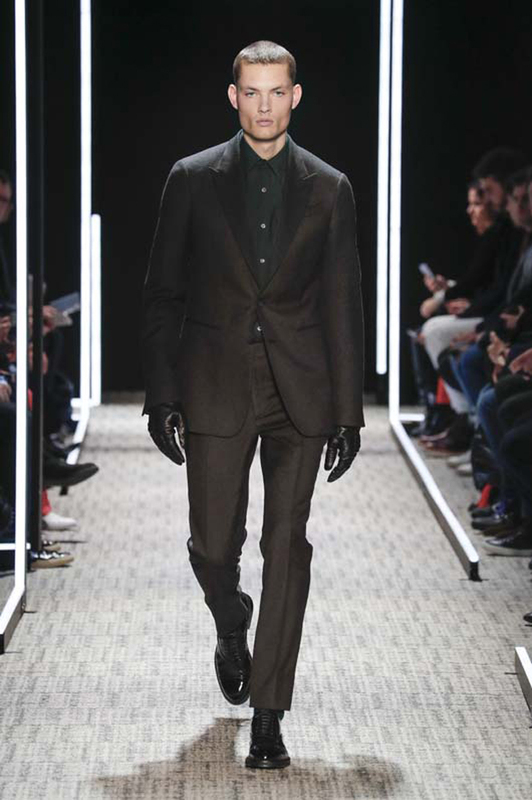 We know that Nino Cerruti, is one of the best dressed men in fashion so his brand is well known in using luxury fabrics and clear silhouettes in the collections. 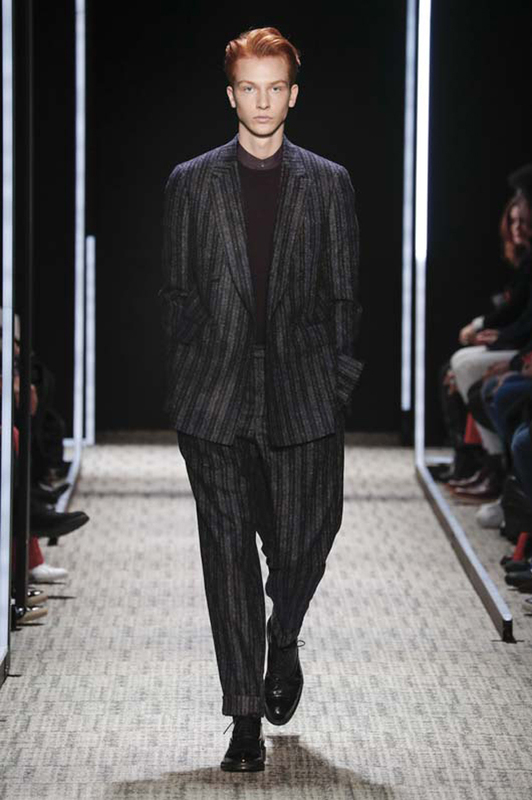 When he launched the brand back in 1967, he chose to name it after his grandfather’s textile mill, founded in Biella, Italy, in 1881 — Lanificio Fratelli Cerriti — which he still oversees. 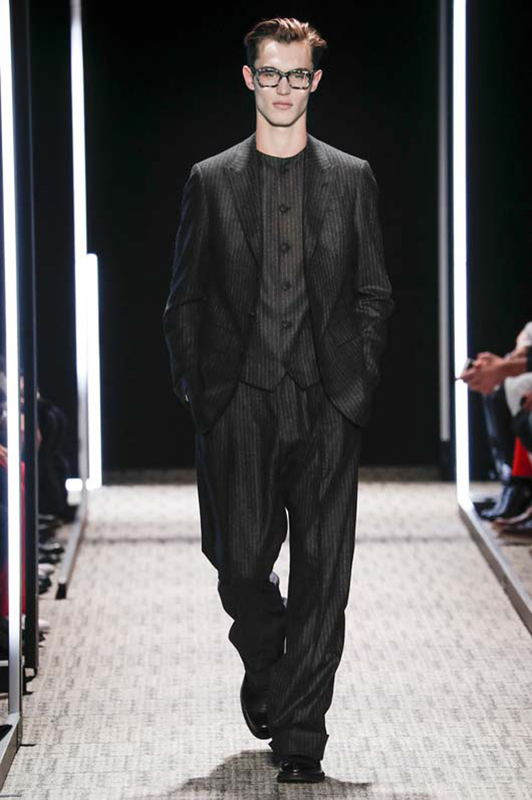 The key concept of the collection is the mixture of tailoring and sportswear. 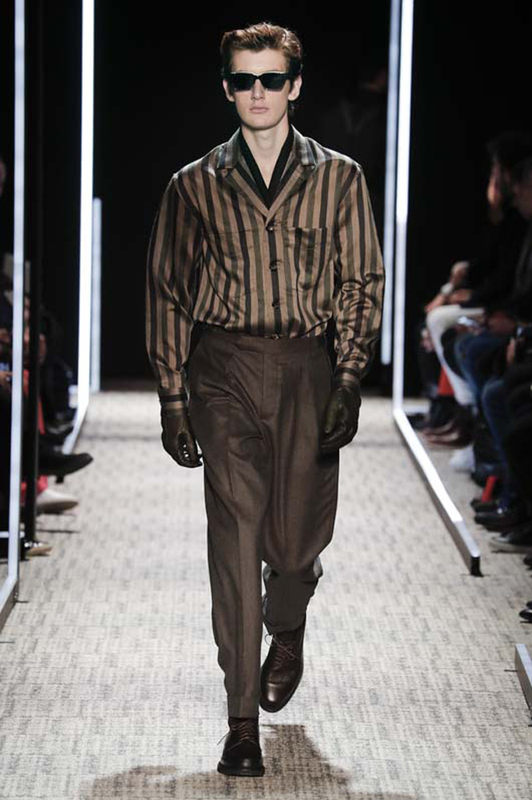 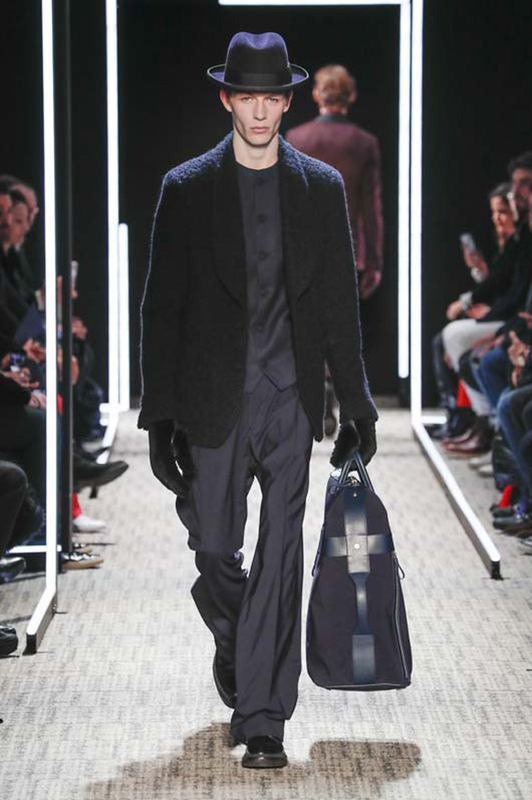 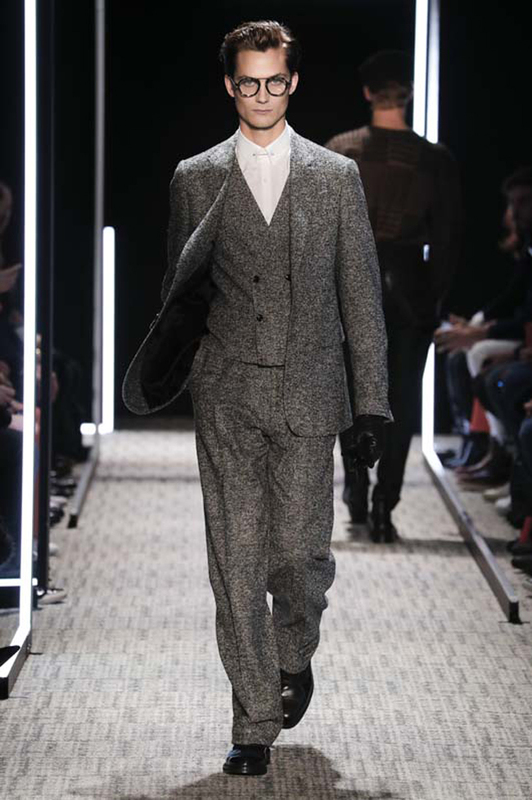 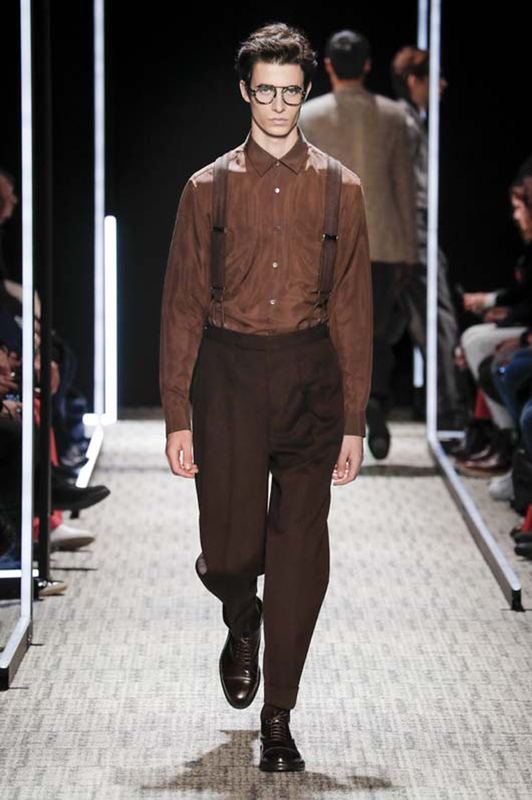 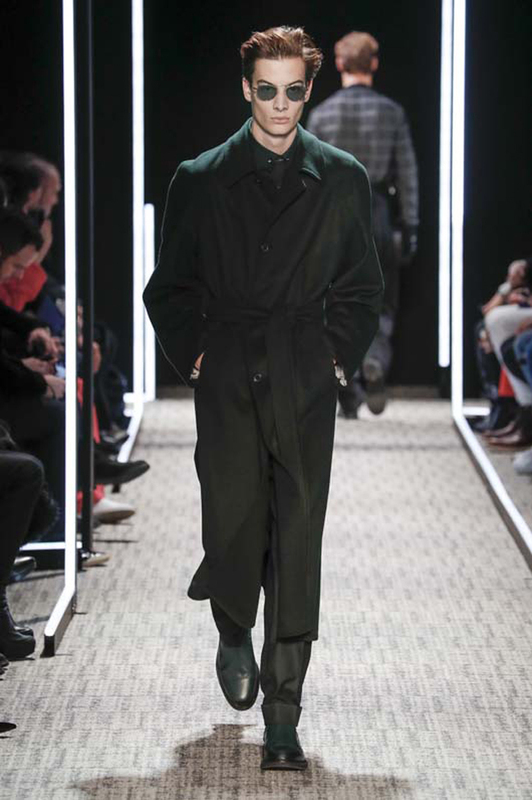 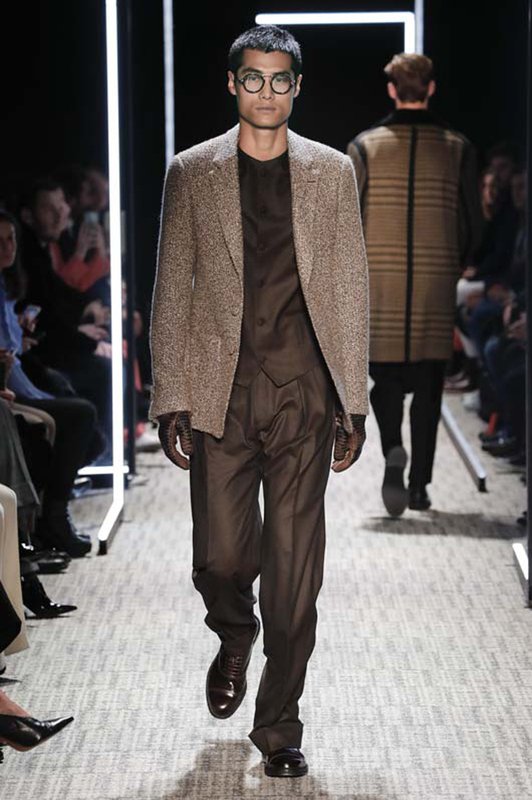 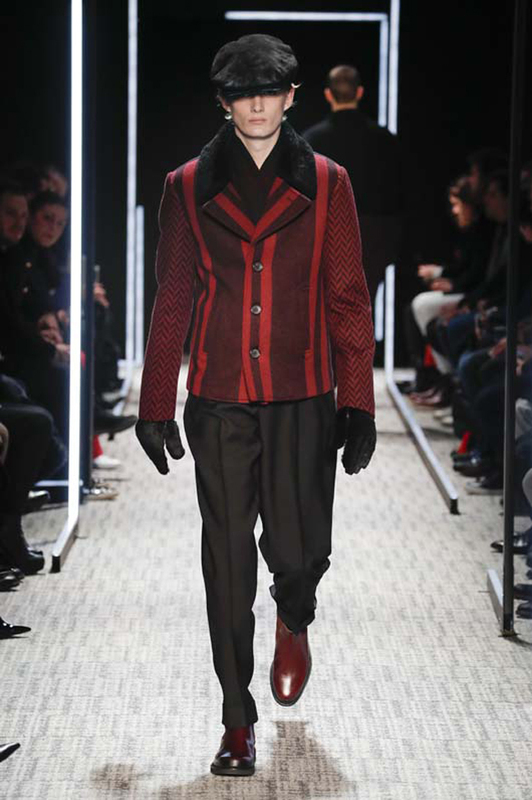 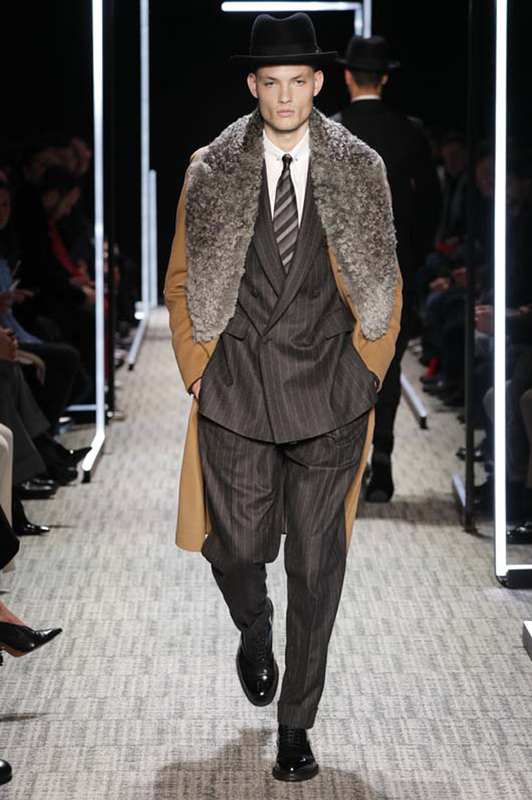 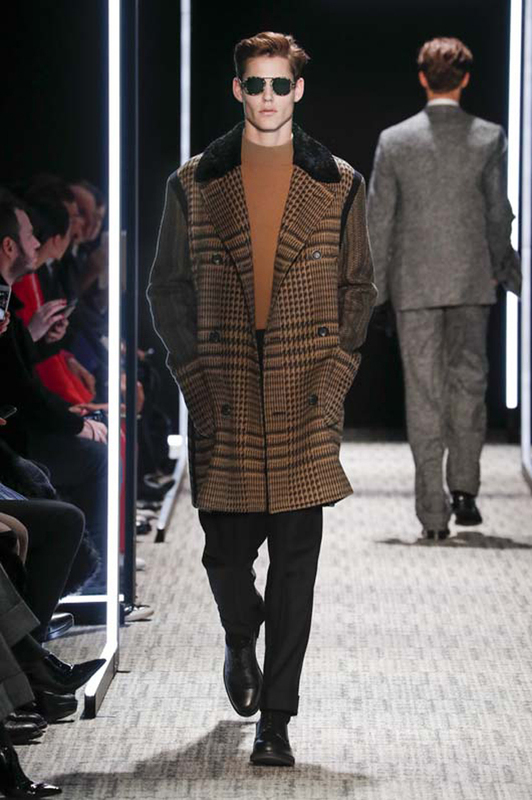 The anniversary collection had a big outerwear focus incorporating archive-inspired Lanificio Fratelli Cerruti fabrics developed with the mill. 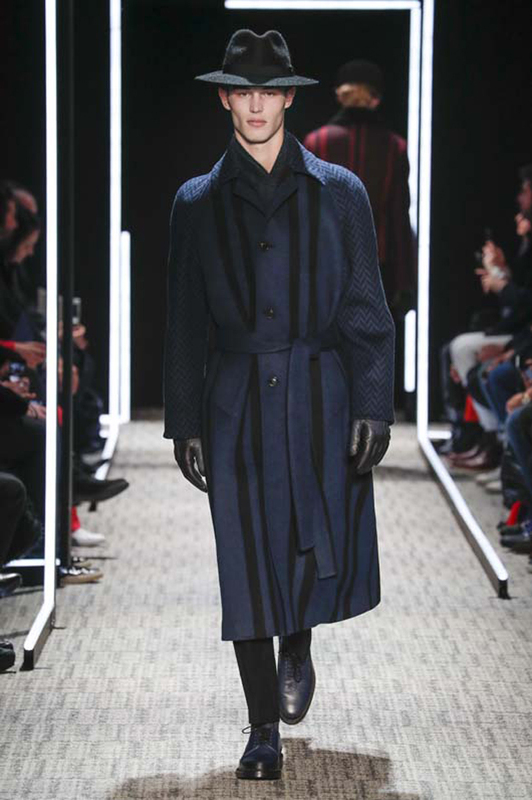 The accents of the Fall/Winter 2017-2018 collection are: a double-breasted swing coat with a kimono sleeve, a raglan trench mixing a herringbone and striped fabric. 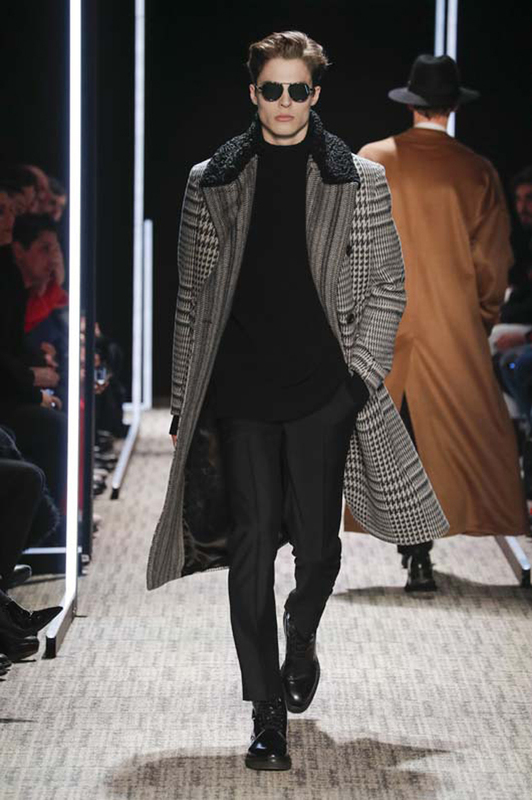 The opening drop-shoulder coat was based on a Cerruti design, only made lighter and more drapey, with tweaked proportions. 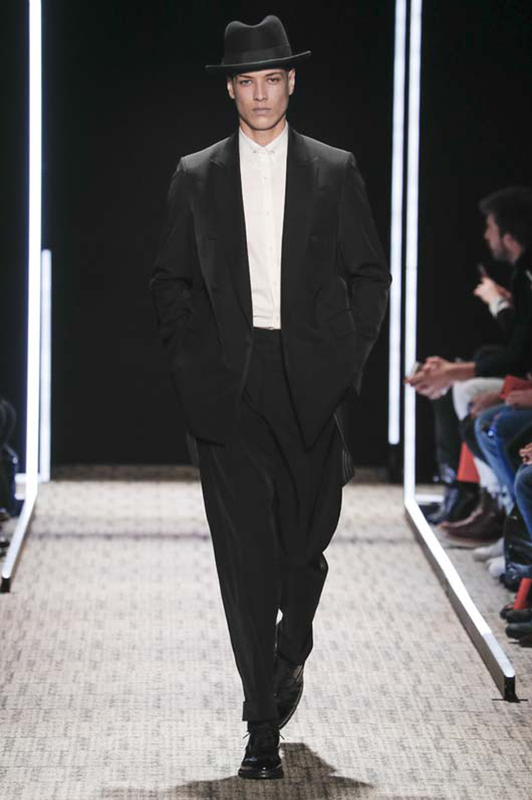 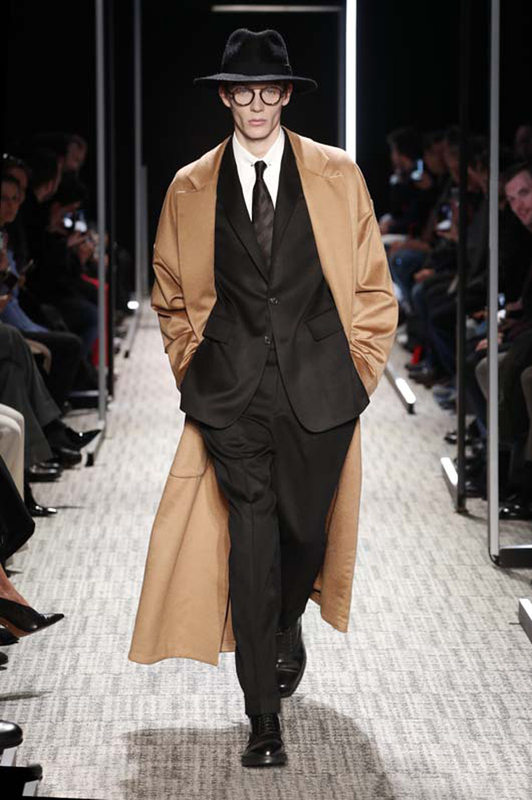 The suiting silhouette centered on a softer, rounder shoulder and longer jacket and a super high-waist pant. 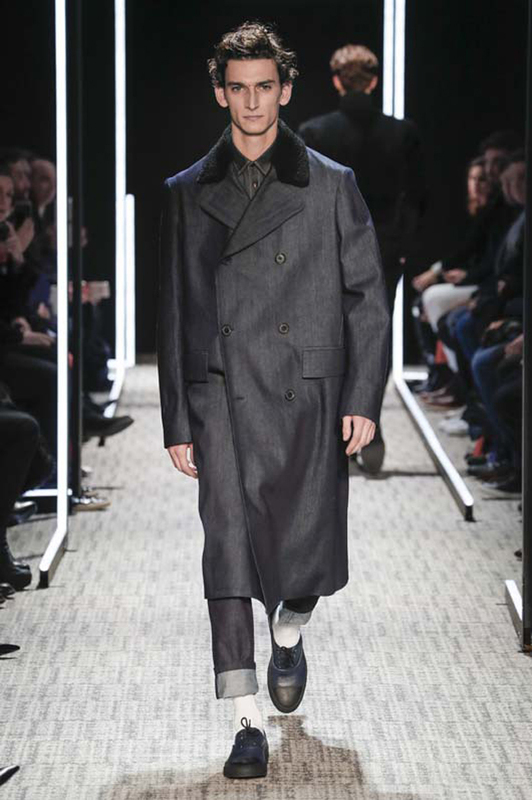 We can't forget the dark denim tailored coats and outerwear.